…or maybe the sight of all the plastic trash bags full of things ready to be hauled off rubs you the wrong way. Of course, none of us want to see tons of trash bags full of stuff dumped in a landfill. At the same time, discarding is necessary if you want to tidy your home once and for all. So what do you do? Here are some thoughts about letting go of things in a more eco-friendly manner and making an effort to be thoughtful when you purchase. Find a place to take your discards rather than throwing them in the trash. Think about what types of charities you’d like to support and check their websites to see what they accept. We have a Donation Destination list of local charities in our area that we either partner with, or one of our clients has recommended. In fact, I recently dropped off a load of clothing a client discarded to a ministry she said saved her life. I love that part of my job! Pass along things you no longer use to friends. In the last post, I mentioned the GroupMe app a lot of people in our church use (If you missed the “mantie” and “he-kini” story, you might want to check it out). Our group is pretty active and it’s fun to see things being passed along to someone who needs them. You don’t have to put things in garbage bags to take them to a donation destination. A couple of hours ago I took a full trunk-load of loose clothing to a residence for women who are in a drug treatment program. The residents came out to the car and helped me carry it all in. None of it was in bags, and they were fine with that. You will probably end up with empty boxes or containers after you tidy a couple categories, so hang onto those as you empty them to haul your donations away. A lot of us have more fabric grocery or tote bags than we could ever possibly use - my mom had 72! Fill those up, and the donation center can sell those as well. If you have clothing that’s so worn out you don’t think anyone can use it-first of all, good for you for getting so much use out of it. You can donate things that are too worn out to H&M if there’s one in your area - they’ll recycle the fabric. The good news is we’ve found when people have gone through a full tidying marathon and found a place for everything they keep, they’re much more thoughtful about bringing things into their homes. Perhaps it will slow down the tide of consumerism. Anyway, here are some thoughts about purchasing things in a way that may help cut down on the number of products being manufactured in the first place. 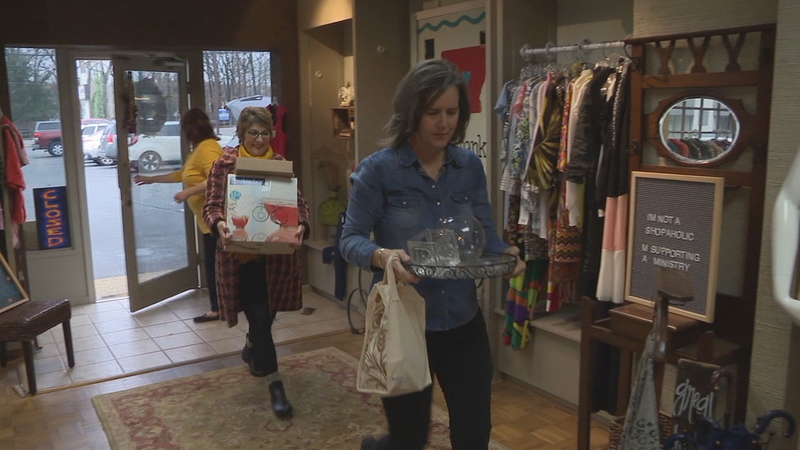 KATV 7 was kind enough to feature Live Thankfully and the KonMari Method today! Buy the best quality goods you can afford, then take care of them. I recently helped someone tidy her clothing, and she has an amazing shoe collection. They are all very expensive and they all spark joy for her. She also takes excellent care of them. She’s had some of them for years, and they still look great. She inspired me to go get some shoe polish and take better care of the shoes I’ve been blessed with. Think really carefully about things before you buy them. Total transparency here, I’m still tempted to buy something-even if I don’t love it-if it’s on sale. Just because something is 90% off, don’t buy it if you don’t love it. Those purchases are the ones I always end up regretting. 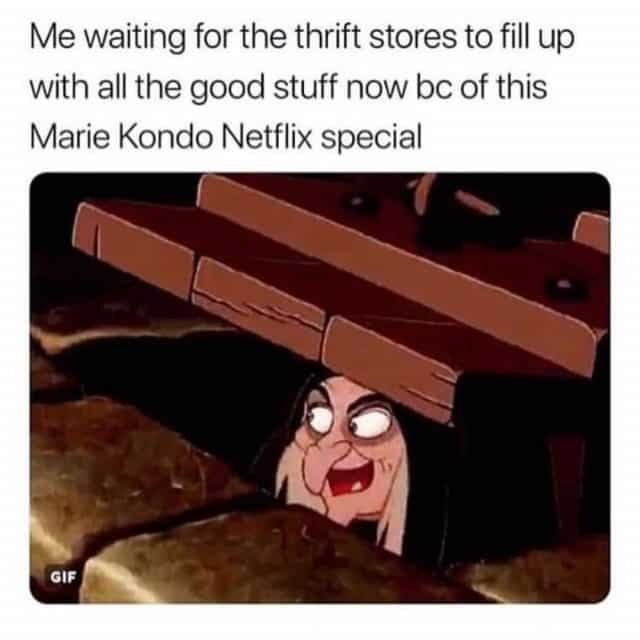 I’ve started asking myself if I would still buy it if it was full price. If the answer is no, I’ll pass. If you have ideas you’d like to share, I’d love to hear them. Happy tidying! Tidy Friday - Your Books are Safe!